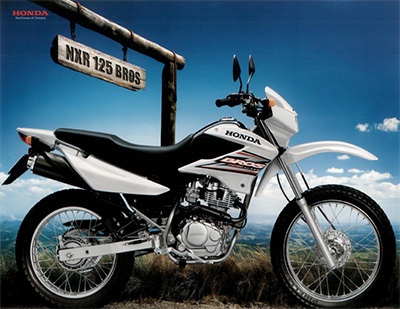 The NXR125ES is powered by a rugged and responsive single-cylinder Honda 4-stroke engine that delivers lively bursts of hill climbing torque from the very first twist of the throttle. The Bros is fitted out with an array of Honda’s built-to-last features that will provide you with years of trouble-free, low maintenance riding enjoyment on the Road or Off. The NXR is incredibly fuel-efficient and with its 12 litre fuel tank and rough and ready 5- speed gearbox, it’s possible to cruise for long distances on and off the beaten track. 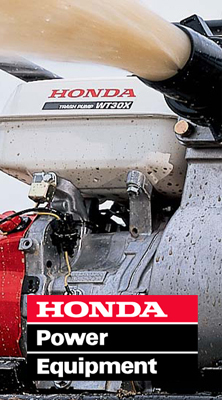 The quiet and smooth-running 4-stroke motor is as easy on your pocketbook as it is on your ears. Featuring a modern, stylish design with flowing lines, the NXR has adopted a “CRF racing-type” look with its high mudguards, sweptback tank shrouds and side panels and aerodynamic front headlight.